My favorite newly-discovered author of the last year is probably Emily St. John Mandel. 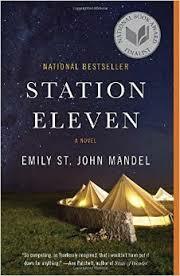 I read Station Eleven, then picked up Last Night in Montreal, and The Lola Quartet, and enjoyed all three. Yes, they are quirky and have some repetitive elements, but I liked Ms. Mandel’s writing and will continue to follow her. The best new** fiction I read this year includes (in no particular order) Andy Weir, The Martian (2014), Stephen L. Carter, Back Channel (2014), Emily St. John Mandel, Station Eleven (2014), William Gibson, The Peripheral (2014), Anthony Doerr, All the Light We Cannot See (2014), David Mitchell, The Bone Clocks (2014), and Neal Stephenson, seveneves (2015). All were well-crafted and enjoyable, but I will let you look elsewhere for reviews. 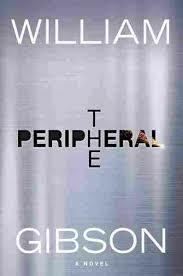 I usually pre-order anything by Gibson, Carter and Stevenson, and will probably add Mandel and Weir to that list. I read two excellent new** nonfiction books: Margaret Lazarus Dean, Leaving Orbit (2015); and Jeff Smith, Mr. Smith Goes to Prison (2015). 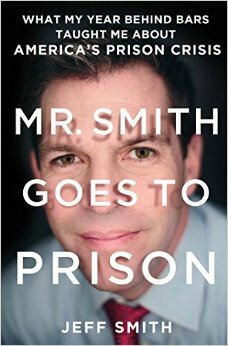 Mr. Smith was the most horrifying book I read recently,*** as it was an account of a politician who was sent to prison for a year for lying about a fairly minor campaign violation. Eric Metaxas’ Miracles (2014) was strikingly different from C.S. 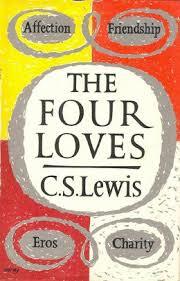 Lewis’ book of the same name. Tim Keller’s Every Good Endeavor (2014) was an encouragement about the significance of work. 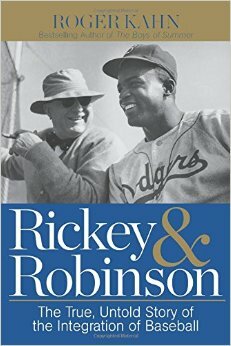 Roger Kahn’s Rickey and Robinson (2014) was a great story about baseball and society by someone who lived through those important years when baseball was being integrated. And how did I miss this one when it first came out: Cheryl Strayed, Wild (2012), a fascinating account of a troubled woman who walks the Pacific Crest Trail? Rick Atkinson’s The Guns at Last Light (2013) (last part of WWII in Europe) was well worth the 900-page investment. Caveat Lector. It should go without saying that some of these will be uninteresting, unedifying, or even upsetting for some readers. What I think I can assure you is that none of these books are poorly written. Let me know if you have any thoughts about these or others on my sidebar. *My favorite old friend this year was probably Mary Doria Russell, The Sparrow (1996), though I did love (again) the Sword of Honor Trilogy, Pattern Recognition, LoTR, and That Hideous Strength. ***This is saying a lot since I also read Michael Faber, Under the Skin (2000) and Margaret Atwood, The Handmaid’s Tale (1998), two astoundingly creepy books.